The goal of the NC Get Smart Campaign is to reach all 100 North Carolina counties’ public and provider audiences with the CDC Get Smart Antimicrobial awareness message. Antimicrobial drugs are lifesavers and a vital resource to be preserved. The overuse of antibiotics has led to increased resistance of known infections. The NC Get Smart Campaign for NC begins on November 17, 2014 and completes on June 30, 2015. This webpage contains resources that you can utilize to promote awareness of antimicrobial drug overuse. 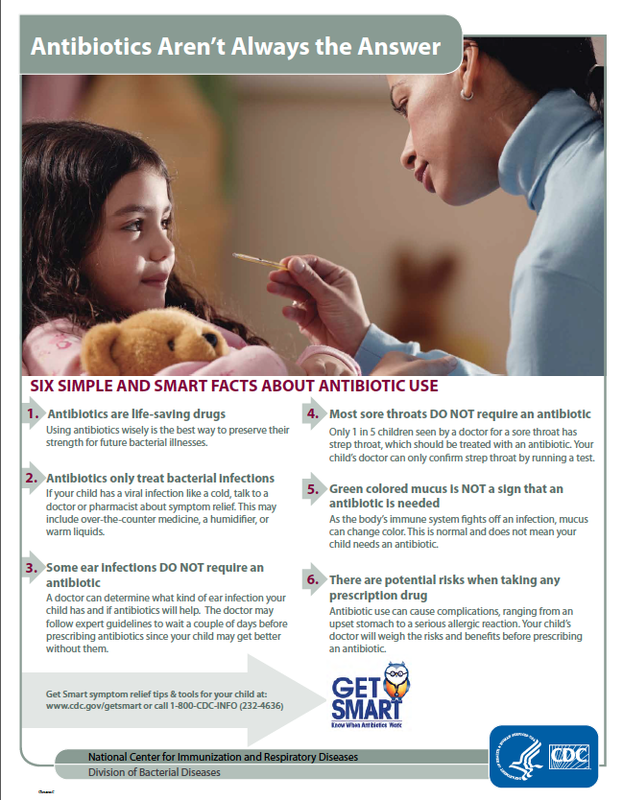 This entry was posted in Antibiotic News and tagged Antibiotic resistance, Antibiotic Stewardship, CDC Get Smart, Get Smart, NC Get Smart Partner, November on October 31, 2014 by cdifffoundation.